He denied being an anti-Semite and repeatedly insisted he was a lifelong warrior against “racism in any form” when he was confronted with a catalogue of complaints about his conduct. The issue dominated the first day of the Party Conference in Liverpool, where Mr Corbyn and his allies faced criticism from Labour MPs for failing to crack down on the issue. Appearing on BBC One’s Andrew Marr show the 69-year-old ducked an invitation by the presenter to “look at the camera and apologise” to Jewish people who wanted to hear “personal remorse” from him. Mr Corbyn replied: “I’ll simply say this – I am an anti-racist and will die an anti-racist. Anti-Semitism is a scourge in any society. 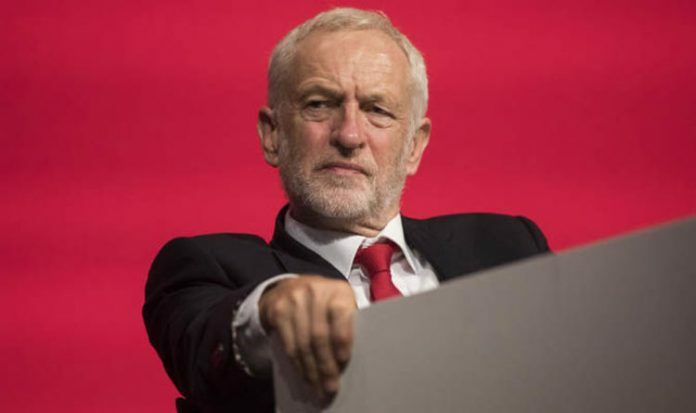 He went on to say Labour had also recently established “much better processes” to deal with anti-Semitism cases after being criticised for not fully adopting an international definition. And he urged British Jews planning to leave the country to stay if he became prime minister. But she said members must be free to discuss the “terrible injustices” faced by Palestinians without it being seen as anti-Semitic rhetoric. At a packed rally on the conference fringe, some of Mr Corbyn’s harshest critics on the issue voiced their anger, singling out Unite boss Len McCluskey for accusing Jewish leaders of “truculent hostility” and PCS union chief Mark Serwotka for suggesting Israel fuelled Labour’s anti-Semitism row to distract attention from its own “atrocities”. Labour MP Dame Louise Ellman said: “For major trade union leaders to not only smear the Jewish community and Jewish people for speaking out against anti-Semitism but then trying to blame them for it, I think we are entering into very dangerous waters.